The 100th international century still eludes Sachin Tendulkar, much to the disappointment of his legion of fans. 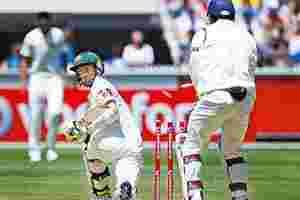 But the supremely crafted 73 in the first innings of the Boxing Day Test was vindication that not only is Tendulkar in good nick—and the coveted ton not too far away—but also that he was perhaps born only to play cricket. Not every cricketer is so genetically endowed, or indeed even so comprehensively trained from early childhood. Tendulkar, as is well-known, came under the tutelage of Ramakant Achrekar when he was 10 or so, and spent most of his time at the nets or playing matches for his school, before graduating almost directly to international cricket when he was 16. It wasn’t always like this, particularly in India, unless you belonged to royalty (like the Pataudis) or they were your benefactors (such as Patiala for Lala Amarnath or Holkar for Mushtaq Ali, etc.). Lesser mortals—or those with lesser connections—had to work to fulfil their passion for playing the sport. This also meant that some fine academicians and highly educated young men played international cricket. The earliest among these was obviously W.G. Grace, a qualified medical practitioner, who also wielded a mean willow and who is now an intrinsic part of cricket lore. In recent times, there is Kumar Sangakkara, a lawyer by academic qualification, or the recently retired Anil Kumble, who gave up a career in engineering to play cricket. Cricket was integral to public school and Oxbridge education, which explains the innumerable number of highly qualified players from that background, especially from England. Urban India, for sociocultural reasons, put a premium on education too, which is why Indian teams, till recently, were often made up of players who were engineers, lawyers or double graduates. A superior education does not, of course, mean superior cricketing skills. The greatest cricketer of all times, Garfield Sobers, did not do much past basic schooling. The greatest batsman of all time, Donald Bradman, did not have any impressive prefix to his name till he was knighted. The greatest influence of our time, Tendulkar, we have already discussed. Formal education (or not) apart, there have been some international cricketers with interesting and/or offbeat trade skills and occupations. I found it rather unusual that Nathan Lyon, the rookie Australia off-spinner, was actually a pitch curator till I remembered that Eknath Solkar was also the son of a gardener at Mumbai’s Hindu Gymkhana and learnt his cricket thus. But there are some cases which are more curious, even bizarre. For instance, John Bracewell, the former New Zealand off-spinner, was a gravedigger. Pace bowler Evan Chatfield, also a Kiwi, drives a taxi. Ian Redpath, the stodgy former Australian batsman of the 1960s and 1970s, is an antique dealer in Victoria while Charl Langeveldt, South Africa’s swing bowler, worked as a warder for the Drakenstein Correctional Centre before pursuing a cricketing career. Jack Fingleton scored one for hacks, for he was a professional journalist even when he played for Australia in the Bodyline series of 1932-33. It is believed that his rivalry with Bradman began because the Don believed Fingleton was leaking dressing-room information. Incidentally, Harold Larwood, Bradman’s nemesis in the Bodyline series, was a coal miner in Nottingham. It was this that gave him the strength and resolute will power to bowl fast for long spells. Fred Trueman, another great English fast bowler, used to lay bricks and worked in a glass work factory in Yorkshire while growing up. He also delivered newspapers in his youth, waking up early in the morning and going around to deliver evening editions later in the day. He was working in the Royal Air Force (RAF) when he got a call informing him that he had been picked to play against India, in 1952. Closer home, Chandu Sarwate, who was part of Lala Amarnath’s Indian team to Australia in 1947-48, was a fingerprint expert, like former Test umpire Judah Reuben. This list is not exhaustive, of course, and any additions, disputes are welcome. By the way, there is also a modern-day West Indies fast bowler who was reported to be a part-time gigolo. But I am not naming names. Go figure.